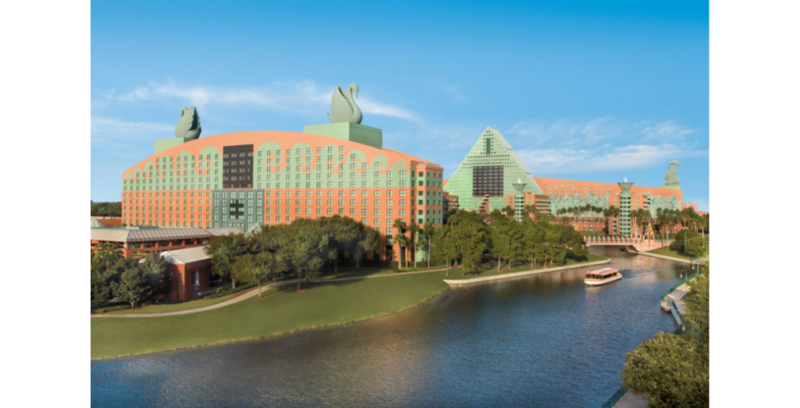 Fans can celebrate this year’s big football game between Los Angeles and New England with a special offer from Walt Disney World Swan and Dolphin Resort. The Walt Disney World Swan and Dolphin Resort is celebrating this year’s big game with a special offer. UPDATE – 02/04/19: The New England Patriots won Super Bowl LIII! To celebrate, New England residents can now exclusively book the Champions Package at Walt Disney World Swan and Dolphin Resort. Called the “Champions Package,” this offer will be exclusive to the residents of the winning team’s state. Based on the game’s outcome, residents of either California or New England can exclusively book the package. Guests who book the package will receive a $100 credit for a meal at the restaurant of the NFL’s coach, Don Shula, at Shula’s Steak House – or any restaurant at the Walt Disney World Swan and Dolphin Resort. In addition, Champions Package guests will get to enjoy a one-category complimentary room upgrade that does not include suite upgrades. The Champions Package is eligible for stays now through Dec. 24, 2019, with a minimum stay of three nights.